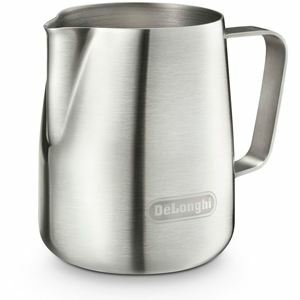 DeLonghi's Milk Frothing Jug is the perfect accessory for DeLonghi's Pump Espresso machines. Use this 14.5-ounce stainless steel milk frothing pitcher with your pump espresso machine to create the smooth, silky milk foam that makes your cappuccino, latte and macchiato so yummy. Compatible DeLonghi models include EC155, EC220CD, EC680, EC702, ECO310, ECP3420 and ECP3630.